As the calendar slides from February into March, as the Super Bowl fades well into the rear-view mirror and March Madness lurks a couple doglegs down the road, there's one late-winter sporting sweetspot to hit without fail, especially if you're a golfer and a baseball fan: A Spring Training roadtrip to the Valley of the Sun, a.k.a. Scottsdale and environs, where half of Major League Baseball's 30 teams come together to work out the kinks and prepare for Opening Day and the 162-game marathon to follow. On both sides of the equation - the diamond and the fairway - knocking out a few days in Scottsdale at this time of year is a true home run. The superstar players are up close and ripe for autographs and chatter. The weather, while warmer than it was in January, is still stellar. The golf courses are in perfect midseason form. Then you complete your lineup by drafting a few cool local brews, digging into incredible food from barbecue to sushi to (of course) Mexican, and, at the end of the day, hanging your hat in a high-end "dugout" of all-star comfort. Final score? Preseason paradise. So, let's fill in the rest of the play-by-play with an extra-innings rundown of where to play, stay and dine in the winter mecca of Scottsdale between games featuring your favorite teams, from San Francisco to Cincinnati, San Diego to Cleveland, Seattle to Chicago. We know there are more than 200 courses in the area, but we're going with a half-dozen perennial favorites that keep you relatively close to the stadium - with fine digs and great food options to fill out the scorecard. 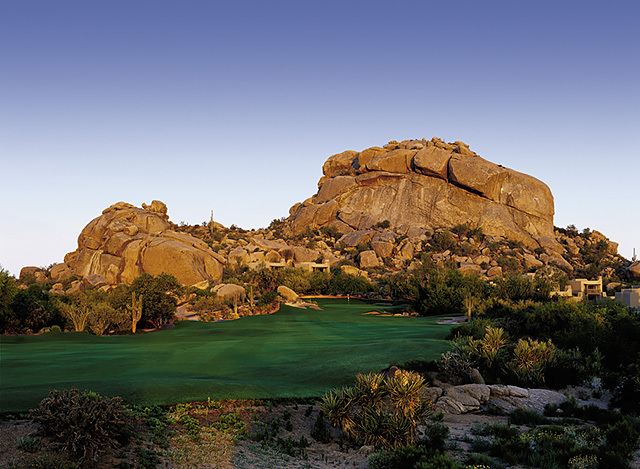 Located in a far northeastern corner of the valley, an aptly named burg called Carefree, beyond the Scottsdale suburban sprawl - next stop, the mountains of Northern Arizona - the Boulders opened in the 1980s with two picturesque golf courses by Jay Morrish, and recently became part of Hilton's exclusive Curio Collection. The resort's collection of low-profile, high-end, newly redecorated casitas and villas blend unobtrusively into the Sonoran landscape as do the main lodge, restaurant and bar, clubhouse and 33,000 sq. ft. spa - where the Silent Stone Massage shines among an impressive litany of treatments. Of the two courses, the South gets our nod as the must-play, with conversation-piece holes like the par-5 fifth, its split fairways winding slightly uphill and toward a boulder-studded dome, or any of the jewel-like par 3s. Not that the North is any slouch; in fact, together the Boulders' 36 holes may be the most challenging set in these parts. 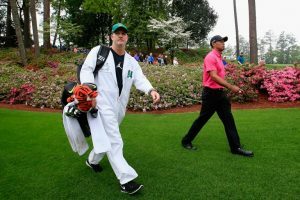 Good thing they've got one of the region's top teachers, PGA Pro Donald Crawley, standing by with the local knowledge you need to succeed. Chow Time: Let's stay right inside We-Ko-Pa's hotel for an upscale feast at Ahnala Mesquite Room, where familiar steakhouse fare (including the biggest ribeyes this side of the Rio Grande) ride side-by-side with local Native American dishes such as a delightful Indian fry bread appetizer, with many dishes accented with citrus, herbs and nuts grown on the local Yavapai farm. With an onsite boutique resort in the works - no date set, but it's out there - yet another of Scottsdale's dual-track threats will get even better, but for now it's pretty damned good thanks to the design genius of Tom Fazio on the Raptor course and Gary Panks and David Graham on the Talon. The former came into 2016 with a redesigned final stretch - holes 15-17 - to make room for the resort. Hole 15 remains a solid par 3 with a severe drop-off to a ravine behind the green; 16, a 437-yard two-shotter, now moves west instead of south; and 17 is now a reachable par 4. 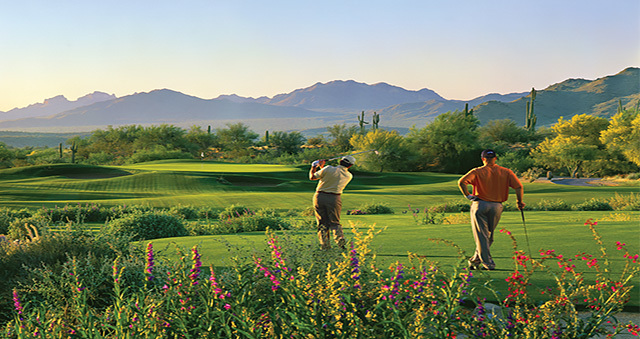 Overall Raptor is probably the more-requested layout though Talon certainly has its adherents, hosting previous pro-ams for the Waster Management Phoenix Open just down the road at TPC Scottsdale, among other events. A certain tour pro named Phil has left his mark on both, many times as a member, and the clubhouse's hideaway grill is even named after him. Overall Grayhawk is just one of those classic Scottsdale experiences, complete with classic rock piped onto the driving range to keep the subdued-but-apt party mood percolating. Nestled up against the south side of famed Camelback Mountain - where dozens if not hundreds of hardy hikers trek to the summit every day during the cooler months, some as part of their regular workout routine - The Phoenician is THE classic upscale Phoenix-Scottsdale resort, one of the grandaddys of refined desert comfort and ease. After opening in 1988 with convenient access to Phoenix International Airport some 15 minutes away, it gained a certain "old school" gravitas from the get-go, growing gradually into the landscape and gaining favor as a great place to chill for a few days or host a convention. 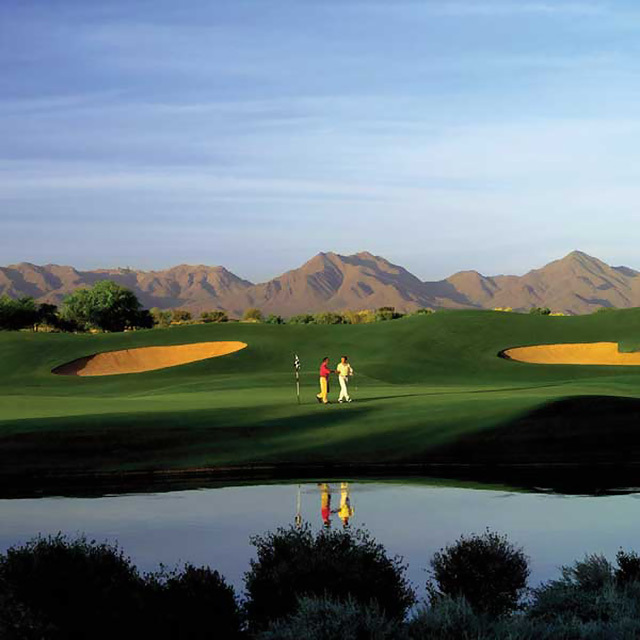 Its three nines (Desert, Oasis, Canyon, the final set opening in 1996) epitomize the term "resort golf," which is a good thing. They know their customer as a business or leisure visitor who wants his or her amenities polished to a high sheen, and these friendly, fairly flat layouts (save for a few hilly holes that bring the Desert Nine to a rousing close) do the job beautifully. This summer will see a complete renovation of the resort's 643 rooms and an expansion of the 22,000 sq. ft. Centre for Well-Being, one of the city's best spas. Completion is slated for mid to late fall, just in time for the winter snowbird influx and, of course, the height of golf season. Chow Time: The Phoenician offers a half-dozen onsite eateries, but two stand out: J&G Steakhouse, Chef Jean-Georges Vongerichten's modern continental showcase (the fresh seafood specials always delight and the filets and New Yorks are a cut above); and Relish Burger Bistro, located on the second floor of the clubhouse and serving a slate of incredible gourmet burgers, sandwiches, salads and more, plus a slew of craft beers. 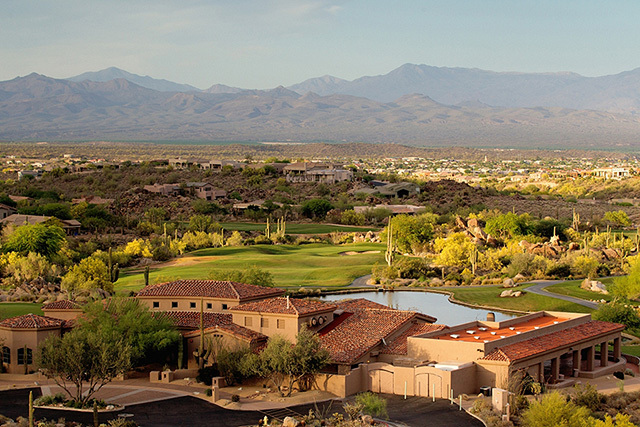 Tucked away on the east side of the McDowell Mountains, Sunridge Canyon's longtime claim to fame is its finishing sextet of holes, dubbed the "Wicked Six" for their inexorable climb uphill to the handsome, spacious clubhouse. Keith Foster carved a truly adventurous 18 out of soaring desert slopes and arroyos, asking the golfer to have his wits and creative spirit about him no matter which tees he's playing from. Yeah, it's tough, but it's a good tough, rewarding well-executed shots with not only a great shot at a cliffhanging par, but poster-worthy views. All four par 3s bring into focus all that's fun about this kind of golf, with various levels of forced carry and, on No. 17, two very different mid- to short-iron shots over or around the huge green, depending on which tee you choose. Over the past year, new owner Don Misheff and his excellent staff have worked hard to elevate Sunridge Canyon's profile as one of the region's top-tier tests in keeping with its inclusion on several local and national "best of" lists over the couple of decades since its debut. It's also the home of Hot Stix Golf, the clubfitting experts; they're in the process of moving their entire operation to Sunridge after several years in a warehouse setting downtown. It's the perfect marriage of game-improving convenience and setting, with several hotels (including We-Ko-Pa) just minutes away to keep you in the groove. Chow Time: Sunridge's own Wicked Six Bar & Grill boasts a killer menu of top-notch golf fare - burgers and sandwiches, salads and woodfired pizza, Southwestern items and, for dinner, such Italian-vein entrees as Pork Ossu Bucco and Shrimp & Prosciutto Capellini - in a taphouse setting. Yeah, that means the craft beers are flowing, and they taste even better when you dine on the giant patio decked out with big screens and a firepit. 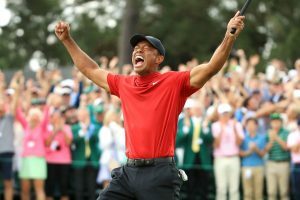 This is golf and lodging on a grand scale, emphasis on golf, operated by Scottsdale-based Troon (as are the Phoenician, Sunridge Canyon and, of course, their signature property, Troon North). As with the Phoenician, there are three nines to choose from - Acacia, Ironwood and Mesquite - all designed by Scott Miller, all in great shape, all quite friendly across the board thanks to manicured waste areas that slope inward toward wide fairways, manageable carries over arroyo and water feature, and gently contoured greens (though they can sometimes get as quick and wily as a starting pitcher's cut fastball). 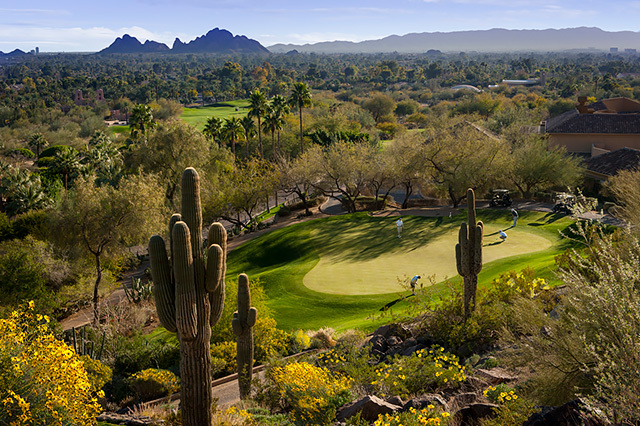 That's three 18-hole combinations to enjoy over a long weekend stay at the adjacent resort, one of the area's best with dÃ©cor that includes expertly curated historical paintings and photos of old Scottsdale and the surrounding Sonoran wonderland. 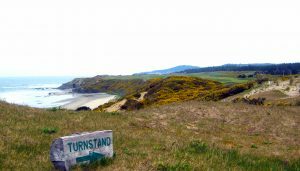 On the courses you'll find yourself "curating" rounds that'll stand out in memory for years, not only because of their natural scenery but also because you just might find yourself negotiating the acreage on a Golfboard or Segway. There's even a cart that'll accommodate a full foursome. And the practice facilities - augmented by a first-class team of PGA teaching pros as well as a full FORE-MAX golf-specific training facility - are second to none in the Valley of the Sun canon.